Not a bad way to wrap a weekend, eh? Summer’s in full swing here in southern Ocean County—revelers abound, commerce is pumping, and the traffic? Well it’s been something . . . Good for business and that’s what counts! For those keeping score at home my sunset light chasing has been seriously lacking. Sure, Summer’s typically a down season for my wide angle work, giving way to more time spent with my macro lens and some good old fashion handheld shooting. But that doesn’t mean I’m still not keen on hunting one down when conditions are right. Last night offered the perfect combination of temperature, sea breeze, and cloud deck. 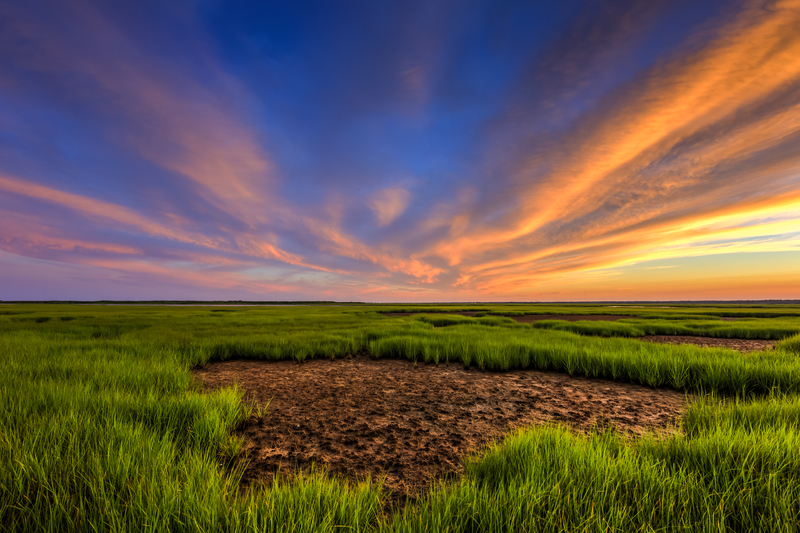 All the ingredients for a good time on the salt marsh. With my mind in the tank for the better part of the week the fresh air was just what the doctor ordered, and fortunately my trusted camera was happy to oblige. Hands down my best sunset endeavor since I hunted down this all-timer back in late May. Keep the A+ clouds and color coming, please.